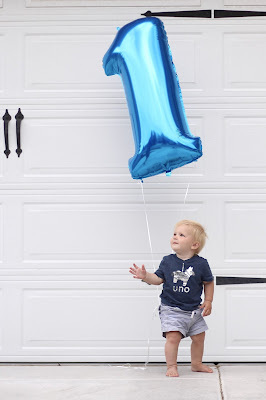 My baby is one!!! One incredible year that went by all too fast. Especially these last few months. He is full of his unique personality, distinguishing himself from his brother more and more every day. He watches everyone closely and is imitating constantly. He wants to do exactly as big brother (or mama & dada) and has picked up skills quickly because of it. He's strong (even has some serious arm definition) & intelligent. While he was a similar as a baby to Liam (hardly any crying, always happy), he has now become quite the little pistol! He has strong opinions and a feisty demeanor. He's loud & boisterous, which could not be any different than his brother at that age. We have always described Liam as being sweet & gentle... not at all the words I would use to describe Finn. He is still a lover, but much more outspoken and determined. And we just love him for it! Eating: He's finally adding some new foods to his lineup. Sometimes he refuses to even try foods, so you just never know. But raspberries still hold the favorite spot. Also, string cheese, greek yogurt, meat of any kind, applesauce, & fruit leather. We always offer him what the family is eating; I'm hopeful that he will start eating more & more from our plates soon! Allergies: Possibly still a minor intolerance of grass pollen, but we continue to have no issues with dairy. Thank goodness!!! Sleeping: Still napping twice a day, amen!!! At night he sleeps from about 8pm to 8am. One long stretch to start the night (and when I say long, I mean like 3 hours), then he's up quite a bit through the rest of the night. Waking 3-6 times a night to quickly nurse back to sleep is pretty standard right now. I sleep with him for most of the night. Side note: our toddler (nearly 4 years old!) still only sleeps through the night about half the time. I don't have good sleepers. I've accepted it, and sometimes, I'm not even that phased by it. Likes: His wiggle car is hands down his favorite thing. He can't quite walk with it on his own yet, so he literally just pushes it close to us and cries, just begging for us to ride it with him. Second favorite thing is throwing or kicking around a ball. A soccer ball preferably. He kicks, he chases; Kicks, chases... All day long! He's also damn good with a little golf club & ball. His hand eye coordination is pretty remarkable already. I'm not sure if it's having a big brother to watch do all these things, or if he is just naturally gifted. We shall see. 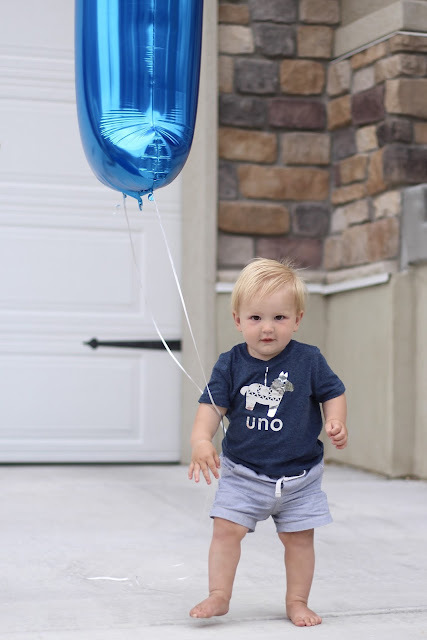 But he already wants out on the t-ball field, has a real strong throw, and it is a full time job just to wrangle during his big brother's games. Third favorite thing: swings. At home, at the park, if there is a swing (or slides are popular too) in sight, he must be on it! More begging for these! his favorite time of the day is when daddy gets home from work. He just can't contain his excitement and often rushes over to his open arms and snuggles into his chest as if to say "Dad... where have you been all day?! I'm so glad you're home." Dislikes: Shoes! Which he obviously has to wear at certain places now that he is walking. But when he can, he takes them off immediately and is often barefoot. His feet are huge (size 5 or 6 already), so shoes just make them even bulkier. He also really hates diaper changes. He has some of the strongest abs around and is always trying to do sit ups while I change out his diaper It's no easy task, and I dread it just a little bit every time. But the boy drinks a ridiculous amount of water daily, so we have to change him all the time! Milestones: Walking!!! 11.5 months and he was full blown walking. He's fast and loves chasing big brother and being chased. His language is continuing to develop to, but not nearly as much as that first burst! He's one big babbler though and certainly is loud. He has quite a lot to say! I cannot wait 'til he can converse more, especially with Liam. Nicknames: Finnier, Finnaroo, Finner, Finny, Shark-Finn (from daddy) & Huckleberry. These are seriously all the names that Liam uses for him. I'm anxious to see which one really sticks over the years. While I initially had a hard time accepting the big difference between my boys, I am seriously so in love with my Finn. He is burly and strong. Full of determination and knows what he wants. He's not an overly smiley baby, but boy are they contagious when he does give you a big, genuine smile. His laughter is contagious as well. Once again loud and high pitched. Sometimes he snorts. He gets sweaty when he's super excited or super tired and is one snuggly little bear. Happy happy birthday Finny! Such a love!! I always hear the first baby is usually so good it tricks you into baby #2 who is supposed to be feistier. If that's the truth we are in for it because P is already super feisty!! Happy Birthday sweet Finn!! Stop reading this book a flight. I promise I will drink. 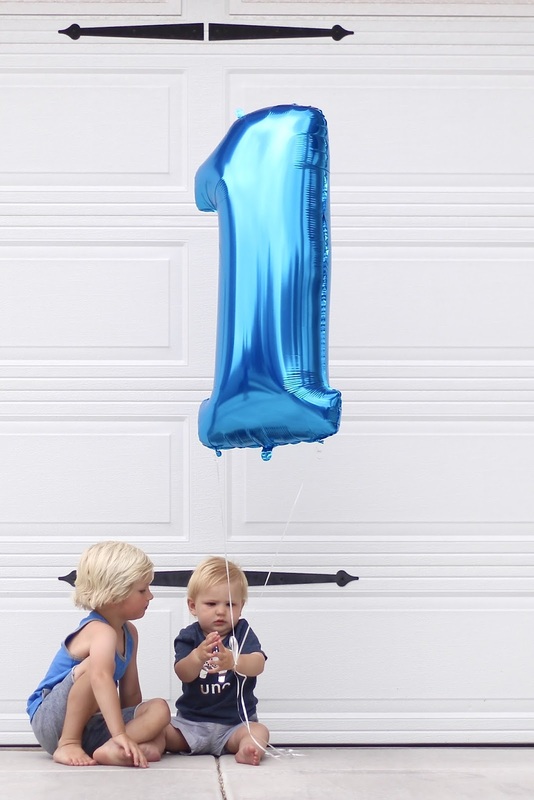 Happy 1st Birthday, Finn! XOXO He is a doll!!! Happy birthday Finn!! OMG what an adorable little guy! I love his birthday shirt. I think being the second child makes them a little more loud and outgoing. Emmy definitely is. Enjoy today momma!! He is precious!!!! Love the differences in personality, we are the same over here! 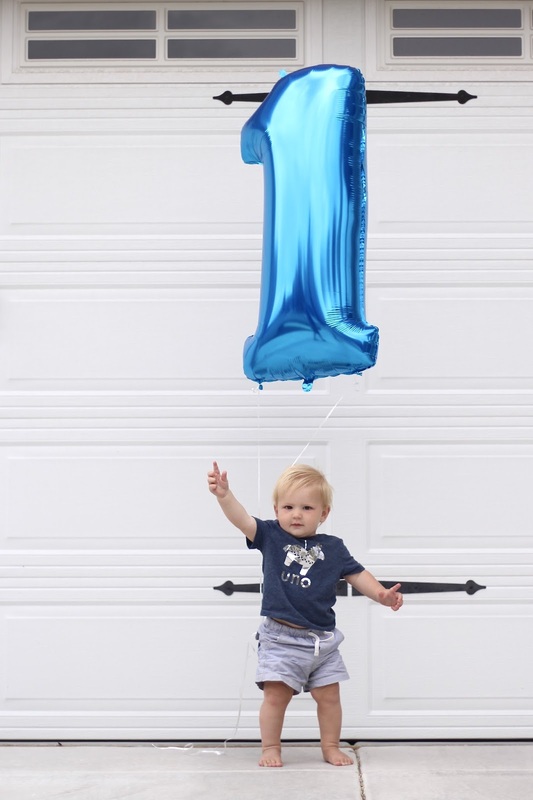 Cant believe he is 1 already!!! He is such a sweet boy. I love how you describe him! From what I have seen it just fits him so perfectly. I adore everything about little Finner and love reading about him! SHUT!THE!FRONT!DOOR! He's one?!?!? HEEEEEEEEEE'S ONEEEEEEEEEEEE?!?! Oh my land where did the time go? Happy happy birthday FINN! Aria is my fierce lover. Tackle hugs etc. So I'm sure they'd be great wrestle partners ha. I really can't believe he is one though. Weren't you just posting about your birth affirmations?! Oh Finn. I'd love one of those big burly hugs from him! Finn and Julia seem to have pretty similar sleep patterns. By this point I just figure, what's another cup of coffee to get through the morning? And the diaper changes. Holy moly, it's practically a workout over here! Sweet, sweet Finn! Happy birthday!! I love his shirt. Brudders! SO cute seeing them and their love ! Happy birthday, Finn! I love how you describe both your boys! Isn't it amazing how brothers can be so different!? I love how you can describe his fiesty-ness with such love and not like a negative. Cause while different than Liam, I agree it's not a negative trait! Happy birthday to your precious little boy! He's absolutely adorable!!!!!!!!!!!!!!!! I just want to squeeze him! Those chunky monkey thighs, love them! I love that he is your little spitfire. Was he more active in utero than Liam too? Happy belated birthday Finneroo!! oh my gosh he is so sweet! it's funny you said that he isn't a huge smiler because i always think he looks so happy, even if he's not smiling. i just want to squeeze him. happy belated birthday to him!